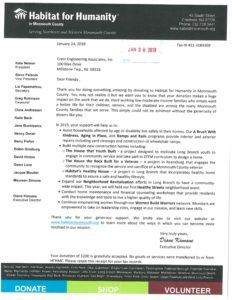 Company Profile – CREST Engineering Associates Inc.
Peter W. Strong P.E., P.P. Lorali E. Totten P.E., P.P. Michael B. Intile P.E., P.P. Daniel P. Hundley P.L.S., P.P. Richard P. Wiener L.L.A., P.P. Peter R. Eshewsky P.L.S., P.P. Jayesh S. Patel P.E., P.P.